The 2017 Civic Sedan features aggressive lines and refined features that make the car stand out from the crowd. 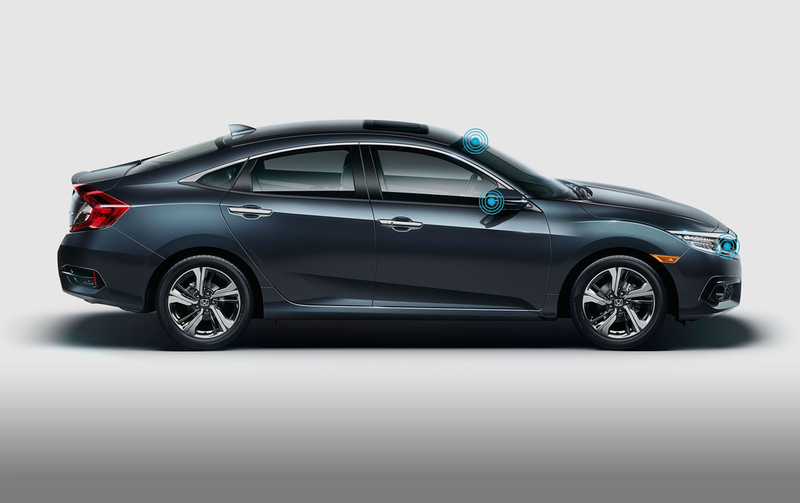 With up to 174 horsepower, a fully independent suspension and two choices of transmissions, Civic Sedan was designed with performance in mind. This turbocharged engine makes driving fun again and turns every green light into a reason to put the pedal down.Even with so much punch available, Civic Sedan comes standard with a normally-aspirated engine that helped it receive an EPA 40 MPG HWY rating, proving normal is anything but boring. This model was also designed to handle with the best of them, featuring standard MacPherson struts and a lightweight, rigid Honda ACE™ body structure. 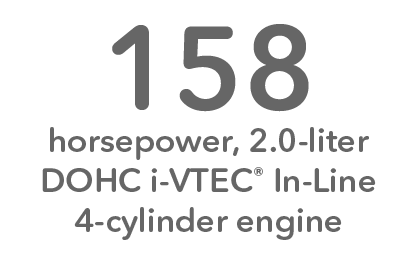 The Continuously Variable Transmissions (CVT) offered were optimized to match each available engine, for plenty of power without sacrificing fuel efficiency.Civic Sedan is also packed with cutting edge technology offerings and perfectly primed for leading the charge for the next generation. With Honda LaneWatch™, changing lanes is now easier. Just signal right, and live video displays from a small camera on your passenger-side mirror. A USB Audio Interface comes standard so you can plug in and control your compatible digital devices while also charging them. Get a better view of what’s behind you with a Multi-Angle Rearview Camera* that offers three different views: normal, wide and top-down. Example closed end 36 month lease for 2017 Civic LX CVT Sedan (FC2F5HEW) available from 9/6/17 – 10/31/17, $149 per month, $2,699.00 total due at signing includes down payments with no security deposit. For well qualified lessees approved by Honda Financial Services. Not all lessees will qualify. Higher lease rates apply for lessees with lower credit ratings. MSRP $20,415. 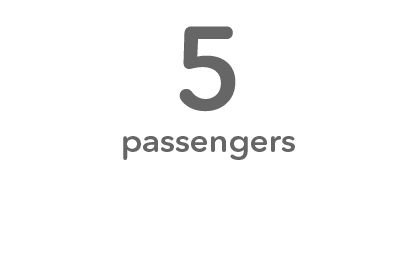 (includes destination, excludes tax, license, title, registration, documentation fees, options, insurance and the like). Actual net capitalized cost $16,394.95. Net capitalized cost includes $595 acquisition fee. Dealer contribution required and could affect actual lease payment. Total monthly payments $5,364.00. Option to purchase at lease end $11,636.55. 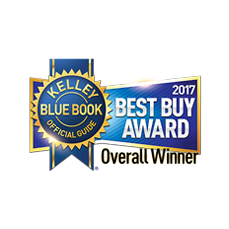 Must take new retail delivery on vehicle from dealer stock by 10/31/17. Lessee responsible for maintenance, excessive wear/tear and 15¢/mile over 12,000 miles/year for vehicles with MSRP less than $30,000, and 20¢/mile over 12,000 miles/year for vehicles with MSRP of $30,000 or more. See your Honda dealer for details. 28 city / 40 highway/ 32 combined mpg rating for LX model with 6-speed manual transmission. 31 city / 40 highway / 34 combined mpg rating for LX & EX CVT Automatic models. 31 city / 42 highway / 35 combined mpg rating for EX-T model with 6-speed manual transmission. 32 city / 42 highway / 36 combined mpg rating for EX-T, EX-L and Touring CVT Automatic models. 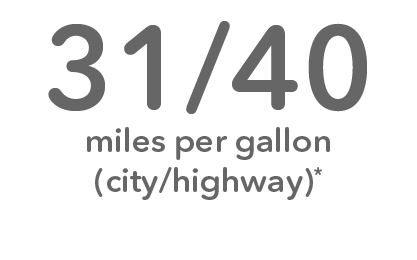 Based on 2017 EPA mileage ratings. Use for comparison purposes only. Your mileage will vary depending on how you drive and maintain your vehicle, driving conditions and other factors. Display accuracy will vary based on weather, size of object and speed, and the display may not show all relevant traffic. The display is not a substitute for your own direct visual assessment of traffic conditions before changing lanes. 2 The Bluetooth® word mark and logos are owned by the Bluetooth SIG, Inc., and any use of such marks by Honda Motor Co., Ltd., is under license. 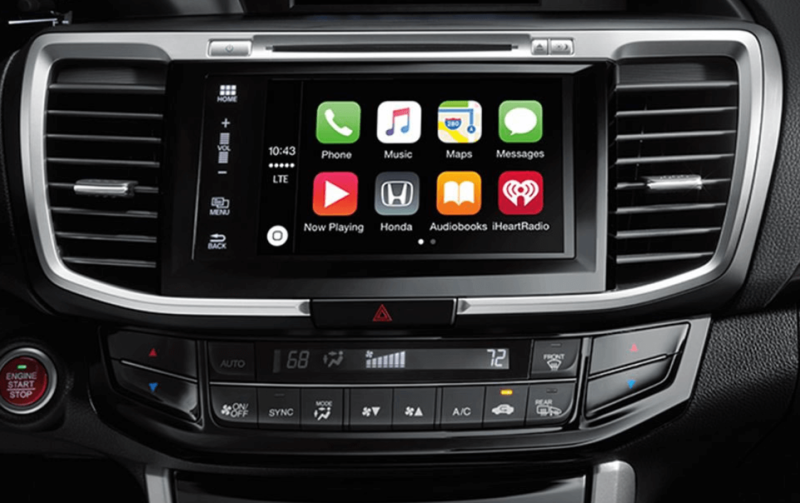 Apple CarPlay is a trademark of Apple Inc.  Android, Android Auto and other marks are trademarks of Google Inc.  CMBS cannot detect all objects ahead and may not detect a given object; accuracy will vary based on weather, speed and other factors. System operation affected by extreme interior heat. System designed to mitigate crash forces. Driver remains responsible for safely operating vehicle and avoiding collisions. Road Departure Mitigation only alerts drivers when lane drift is detected without a turn signal in use and can apply mild steering torque to assist driver in maintaining proper lane position and/or brake pressure to slow the vehicle’s departure from a detected lane. RDM may not detect all lane markings or lane departures; accuracy will vary based on weather, speed and road condition. System operation affected by extreme interior heat. Driver remains responsible for safely operating vehicle and avoiding collisions. Forward Collision Warning (FCW) cannot detect all objects ahead and may not detect a given object; accuracy will vary based on weather, speed and other factors. System operation affected by extreme interior heat. FCW does not include a braking function. Driver remains responsible for safely operating vehicle and avoiding collisions. LKAS only assists driver in maintaining proper lane position when lane markings are identified without a turn signal in use and can only apply mild steering torque to assist. LKAS may not detect all lane markings; accuracy will vary based on weather, speed and road condition. System operation affected by extreme interior heat. Driver remains responsible for safely operating vehicle and avoiding collisions. Lane Departure Warning (LDW) only alerts drivers when lane drift is detected without a turn signal in use. LDW may not detect all lane markings or lane departures; accuracy will vary based on weather, speed and road condition. System operation affected by extreme interior heat. Driver remains responsible for safely operating vehicle and avoiding collisions. Adaptive Cruise Control (ACC) with low-speed follow cannot detect all objects ahead and may not detect a given object; accuracy will vary based on weather, speed, and other factors. ACC should not be used in heavy traffic, poor weather, or on winding roads. Driver remains responsible for safely operating vehicle and avoiding collisions. For optimal tire wear and performance, tire pressure should be checked regularly with a gauge. Do not rely solely on the monitor system. Please see your Honda dealer for details. Always visually confirm that it is safe to drive before backing up; the rearview camera display does not provide complete information about all conditions and objects at the rear of your vehicle. 174 hp @ 6000 rpm, 162 lb-ft @ 1700-5500 rpm (SAE net). 3-Year/36,000-Mile Limited Warranty. 5-Year/60,000-Mile Limited Powertrain Warranty. Ordinary maintenance or adjustments, parts subject to normal wear and replacement, and certain items are excluded. Please see your Honda dealer for the terms and conditions of the limited warranties. 158 hp @ 6500 rpm (SAE net). SiriusXM services require a subscription after any trial period. If you decide to continue your SiriusXM service at the end of your trial subscription, the plan you choose will automatically renew and bill at then-current rates until you call SiriusXM at 1-866-635-2349 to cancel. See our Customer Agreement for complete terms at www.siriusxm. com. Fees and programming subject to change. XM satellite service is available only to those at least 18 years and older in the 48 contiguous United States and D.C. ©2016 SiriusXM Radio Inc. Sirius, XM and all related marks and logos are trademarks of SiriusXM Radio Inc.  HD Radio is a proprietary trademark of iBiquity Digital Corporation. 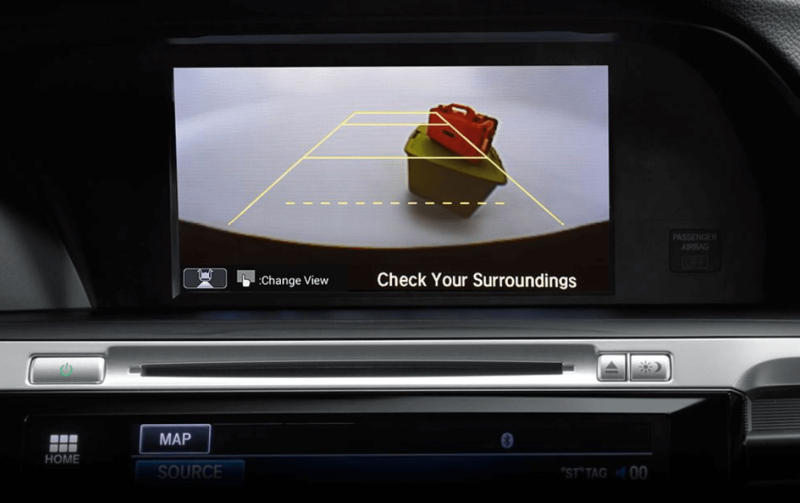 The Honda Satellite-Linked Navigation SystemTM is available on EX-L Sedan and standard on Touring models in the United States, Canada and Puerto Rico. (Honda HD Digital Traffic service only available in the United States, except Alaska). Please see your Honda dealer for details. NHL and the NHL Shield are registered trademarks of the National Hockey League. ©NHL 2016. All Rights Reserved. The Twitter bird logo and Stylized V logo are trademarks of Twitter, Inc., or its affiliates. iPhone is a registered trademark of Apple Inc. Honda reminds you and your passengers to always use seat belts and appropriate child seats. Children 12 and under are safest when properly restrained in the rear seat. Specifications, features, illustrations and equipment shown in this brochure are based upon latest available information at the time of printing. Although descriptions are believed to be correct, accuracy cannot be guaranteed. American Honda Motor Co., Inc., reserves the right to make changes at any time, without notice or obligation, in colors, specifications, accessories, materials and models. Some features mentioned herein are not available in all areas. Please see your Honda dealer for details. Some vehicles may be shown with optional equipment. Available = Optional. All images contained herein are either owned by American Honda Motor Co., Inc., or used under a valid license. It is a violation of federal law to reproduce these images without express written permission from American Honda Motor Co., Inc., or the individual copyright owner of such images. Honda Financial Services is a DBA of American Honda Finance Corporation. Honda, the H-mark symbol, Honda Care, Honda LaneWatch, Honda Satellite-Linked Navigation System, Honda Sensing, Advanced Compatibility Engineering, ACE, Collision Mitigation Braking System, CMBS, ECON logo, HandsFreeLink, i-VTEC, SmartVent, Vehicle Stability Assist and VSA are trademarks of Honda Motor Co., Ltd. ©2016 American Honda Motor Co., Inc. ^ Government 5-Star Safety Ratings are part of the U.S. Department of Transportation’s New Car Assessment Program (www.safercar.gov). Model tested with standard side airbags (SAB). For more information, visit www.kbb.com. 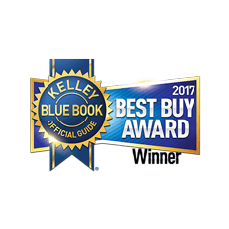 Kelley Blue Book is a registered trademark of Kelley Blue Book Co., Inc.